For More Camera Critters, and to participate, go here. now that's a stretch-- must go look at all your posts- I always love seeing nature in all forms Sandy's some stretch!! that's a really nice photo. I Like the way the sun hits him in the photo. This one had me laughing out loud! Great shot! Boy that is a familiar sight. They do hang by their back toenails and stretch out. Their muscles are so big I assume that have to do this to keep from getting knots or cramps. Amazing photograph. I wish that I could stretch like that! This is a great stretching photo! Ah yes, a good, big stretch does a body good ;-) This is a fantastic close up, Tom! I'm loving the closeups of the squirrels. Great picture. Thanks! Tom: Wonderful positions on the squirrel, check out where I found one. Great shot! Great morning stretch too! That is a great shot!!! LMAO! Oh my! There must be a very important nut just out of reach! Amazing how this little one can extend every part of his body! And hang downwards in the process! great shot! Fantastic. I just miss this guys so much here. Great photo - thanks for sharing. 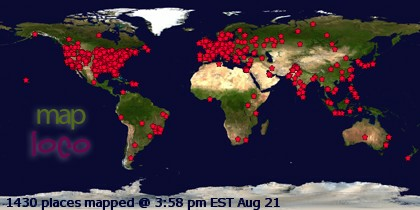 Thanks everyone for checking out my Camera Critter image this week and taking the time to comment! Well...I just looked out my window where a big linden tree reaches out towards my window...one little squirrel comes running down the trunk and suddenly stops. It proceeds to dangle from its toe nails and lengthen his body in what seemed like a functional full body stretch. 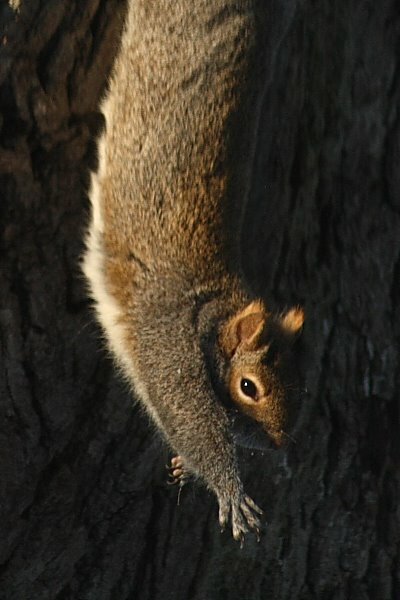 I quickly googled if squirrels do in fact stretch and came across your site...WOW...a first for me at 43 yrs of age. I never knew. Another thing we have in common with the animal world.